Charles Grimm, 56, is president of Outdoor Robotics, a small company in New Smyrna Beach. 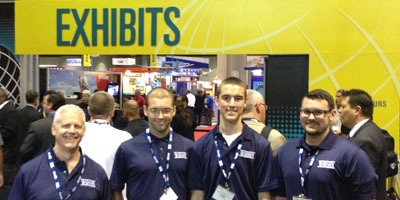 Last week, he attended the Association for Unmanned Vehicle Systems International convention in Orlando. He took a break at the event, billed as the world’s largest, and spoke with Orlando Sentinel writer Kevin Spear about competing in the industry of drones, also called unmanned aerial vehicles or UAVs.